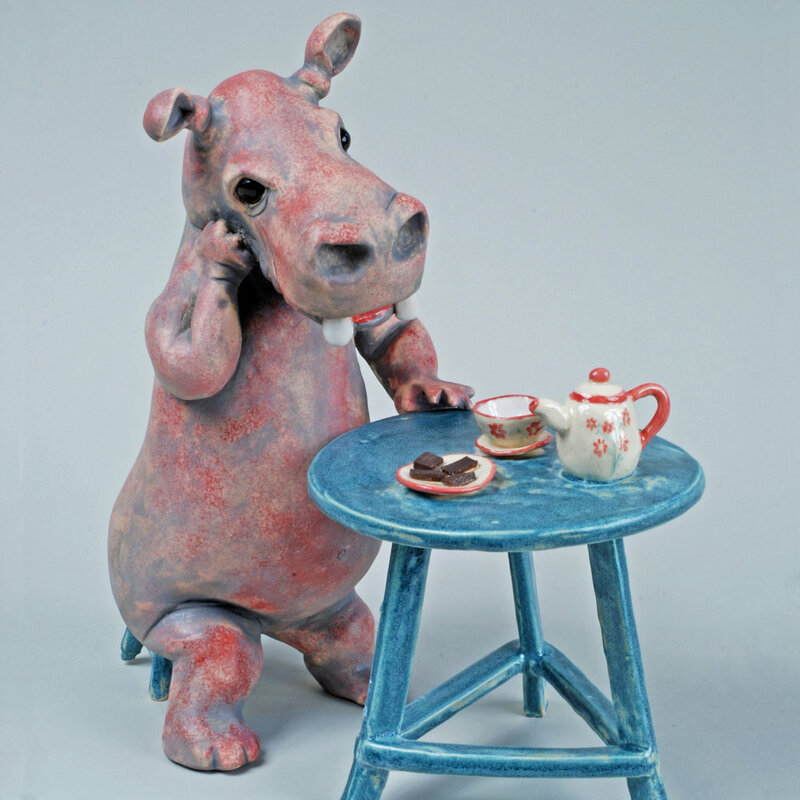 Hippo Tea Time, High Fire Clay, 12" x 10" x 10"
Directions: From the SC State House, take Main St. north. At the fork, continue left on River Dr. Turn left on Darlington St. Turn right on Park St. Turn left on Laurel Hill Ln. Studio is second house on right in rear.